Dubai is a spectacular destination known for its luxury shopping, long stretches of sandy beaches and visitors are spoilt for choice when it comes to the plethora of international culinary dining experiences on offer. Coupled with Dubai’s skyline which is dotted with architectural and engineering wonders from the world’s tallest tower, the Burj Khalifa, the sail-shaped silhouette of the Burj Al Arab and the extraordinary man made island in the shape of a palm with multiple beach resorts, means Dubai has taken a city experience to another level. This January, my husband and I together with our one year old visited Dubai and stayed at the Armani Hotel Dubai, which is located in the Burj Khalifa. I was looking forward to admiring the views from this amazing 830m tower whilst also enjoying the luxury synonymous with the Armani brand which was founded by fashion designer, Giorgio Armani – the man of understated elegance and minimal exemplary design. The Armani Hotel Dubai was his opportunity to bring his sophisticated style to life in the most complete way and through the #StayWithArmani philosophy. One of many advantages of staying at the Armani Hotel Dubai is its prime location downtown apart from also being situated in the extraordinary Burj Khalifa, it has direct access to the Dubai Mall, which if you love shopping and taking advantage of Dubai’s low 5% tax rate is ideal. More importantly, Dubai Mall also has plenty of activities for children and we took advantage of the family friendly activities on offer so close to the hotel. The Dubai Aquarium and Underwater Zoo is conveniently located in the mall and proved a huge hit for our daughter who thoroughly enjoyed the marine life, penguins and cheeky free roaming macaws. However the main draw card and why we appreciated the location is the private access to At.mosphere, a restaurant and lounge located on the 122nd of the Burj Khalifa. The Armani Hotel has a private lift for guests, which takes you from ground floor straight to the 123rd floor. This meant we did not need to book over priced tickets to the viewing platform of the Burj Khalifa and attempt to find a viewing point in between the crowds. Whilst At.mosphere is a few levels under the viewing platform it still had the same breathtaking views you would expect from the top. When we first arrived at the hotel we were greeted by a sleek dark glossy back drop with the words Armani Hotel Dubai written elegantly across the front. When we looked up, we took in the towering Burj Khalifa, the silver structure almost shimmering with the winter sun. Winter in Dubai means on average a pleasant 24 degrees celsius and having previously traveled to Dubai in the summer, I much prefer the winter months as they are still warm but much more enjoyable then the summer where it is difficult to sit outside in the heat. We were ushered in by porters and offered a light refreshment in the plush seating area. The foyer is everything which you would expect from the Armani brand, understated elegance and sophistication with the foyer encased in a large arch framework. Whilst my daughter was interested in the customised Armani chocolate shop, I noticed that the sleek dark furnishings were complimented by hints of brushed metal and other textured materials. The design goal behind the hotel was ‘discreet minimal opulence’, which was certainly achieved. After chatting to our Lifestyle Manager, we were treated to a complimentary upgrade to a suite on the top floor. We took the elevator up to our suite to discover another level of luxury. The wood paneled corridors were back lit by LED lights which led us to our suite. The furniture in our suite, supplied by Armani Casa furnishings had earthly tones and textured fabrics the designer is known for, for example the couch was made of a silk like fabric with delicate embroidery. Our classic suite was divided into two rooms, a living space and a huge spacious bedroom with en suite and walk in wardrobe. This is ideal when traveling with kids as nap time is uninterrupted with the two room set up. The suite also has two very large bathrooms with Armani toiletries and a large soaker tub. The rain forest shower with its illumunious light was divine and the pressure was perfect. After donning our fluffy robes we opened the curtains via an iPad (one in every room) which controls all the room amenities from curtains to TV to ordering room service, once the curtains were lifted, we were absolutely mesmorised by the view. As we were on the 39th floor we had a birds eye view of Dubai’s skyscrapers from our suite. I spent most of the morning gazing out the window with my daughter as there was much to take in. The hotel provided us with a wooden cot which was placed next to our bed with a soft wool blanket and linens. As a family we enjoyed the space of the suite which was the perfect size for an active toddler who likes to run around and exert all her energy. Another handy addition, is that each of the two areas were separately temperature controlled. Upon arrival we also received a selection of canapes and petit fours including a fresh bowl of fruit which were promptly delivered to our room. It is the small gestures such as this which we appreciated and this was fantastic for our daughter too, who always likes to snack throughout the day. After settling in we decided to explore the hotel which has plenty on offer for all types of travelers. Our first stop was Armani/Spa, where we proceeded to looked over the extensive spa menu. We then ventured to the pool via the changing rooms which were extraordinary and added to the glamour. The wall of fluffy monogrammed towels, floor to ceiling mirrors and plenty of space to get ready and also freshen up after a swim was fabulous. There is also a well stocked gym adjacent to the change rooms. The pool was heated and was shadowed by the backdrop of the Burj Kalifa towering over it, which is an incredible view when swimming. The pool attendant after setting up our towels, provided us with iced water and then kindly offered to take a panoramic photo of us with the Burj Khalifa in the background which we graciously accepted. The heated pool was great as our little one loved splashing around. There are plenty of deckchairs and umbrellas with ample space around the pool which was a great place to relax away from the bustle of Dubai. After a very sound night’s sleep we woke up early and were the first to arrive to breakfast. The breakfast buffet takes place from 6.30am to 11am each morning with a huge selection of cuisines from all over the world. I ordered a specially made strawberry and vanilla crepe and a poached egg for my daughter from the breakfast chefs on hand. The selection of organic yogurts, smoothies and freshly made juices to the array of hot food and freshly baked muffins, danishes, croissants and other baked goodies were very much welcome, particularly for our little fussy eater who had eggs followed by crepes and a donut! The Armani Hotel Dubai also has four tantalizing restaurants to choose from; Armani/Hashi (Japanese), Armani/Ristorante (Italian), Armani/Amal (Indian) and Armani/Mediterraneano (European). We chose to dine at the Japanese restaurant Armani/Hashi and were in for a culinary treat. Our table was situated outside with a great view of the Dubai Fountain Show which occurs every half hour without fail. This was possibly the best way to entertain our one year old, and keep her attention focused during the meal so she didn’t grow bored at the table. The Burj Khalifa is also lit up with an amazing light show which occurs periodically. Now for the food, Armani/Hashi delights the palette with traditional recipes with a modern interpretation. We ordered a combination of appetizers, signature dishes, rolled sushi for my daughter and followed it with dessert. Particularly delicious was the yellow tail tataki with rose pepper, edible flowers and su-miso and the scallop carpaccio, these were my favourite dishes, the flavours were light yet packed a punch. For dessert I had the trio of ice cream, which my daughter mostly devoured. Overall we were impressed with the menu, and the chef’s ability to revolutionise traditional flavors. The service also was exceptional and staff were attentive and offered their recommendations on menu items. Considering our overall stay, my family and I really enjoyed the serene and calm atmosphere of the hotel. There was also the element of exclusivity, which meant the service and attentiveness of staff was unrivaled compared to other hotels in the area. The location of the hotel and its direct access to the Dubai Mall was fabulous as was the private access to At.mosphere on the 122nd floor. We could truly relax as a family and enjoy the hospitality offered by the hotel and its attentive staff whilst being in Dubai’s prime downtown location. Rooms inclusive of breakfast at Armani Hotel start from approximately AED 2420 / GBP 500 per night and suites start from approximately AED 3000 / GBP 620 per night. Bookings can be made directly through their website here. 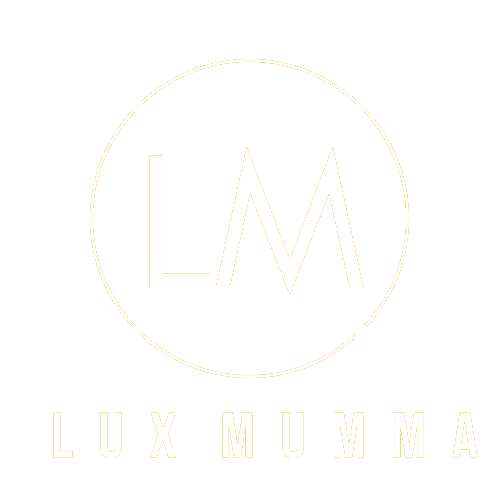 Follow me at @Luxmumma for more travel inspiration and also check out my past reviews in my travel section here. This is an honest review of the Armani Hotel Dubai by way of a complimentary two night stay in January 2019.